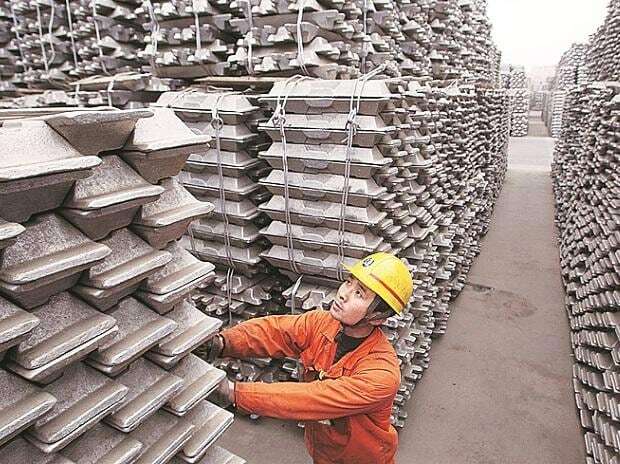 In the face of continuing downturn in aluminium markets and rising production costs, the country's aluminium makers should focus on reducing their production costs, Union mines secretary Anil Mukim said here. Aluminium prices on the London Metal Exchange (LME) have slid to $1870 (as on January 30) per tonne from the multi-year highs of $2602 in April 2018 after the US treasury clamped sanctions on UC Rusal, sending global aluminium markets into turmoil. The domestic aluminium producers have also been rattled by hardening of input costs of coal, caustic soda, coal tar pitch and calcined petroleum coke. As a fall out of input commodity inflation, aluminium smelting costs for all the three primary producers- National Aluminium Company (Nalco), Hindalco Industries and Vedanta Ltd were hovering around $2000 a tonne. Speaking at the International Conference on Aluminium (INCAL) 2019, Mukim urged the Indian aluminium companies to step up value addition and focus on creating wealth out of waste. “Collection of scrap and its processing needs to be taken up by aluminium companies. This will help in developing circular economy in the country. At least 75 per cent of the ingots need to be processed by the downstream industries located around the mother plant”, he said. Stating that only 17 per cent of the country's bauxite resources have been exploited, he called upon the aluminium industry to focus on exploration and develop technologies to process low grade bauxite as well as developing technology to extract alumina from PLK (Partially Laterised Khondalite) which are now being taken out as overburdens and used for mine filling. Nalco's chairman & managing director and president of Aluminium Association of India (AAI) T K Chand stressed on proliferating the use of aluminium in automotive sector. “Aluminium is the metal of the future. One kilogram of aluminium when used in place of the same amount of heavy metal reduces 22 kg of carbon emissions in the life cycle of an automobile, thereby bringing in sustainability”, Chand said. More than 850 delegates from 20 countries are participating in INCAL 2019 including Ambassadors of Vietnam and Myanmar, Consul Generals from Italy, Norway and Thailand, High Commissioners as well as aluminium producers, technologists, equipment suppliers and raw material suppliers.